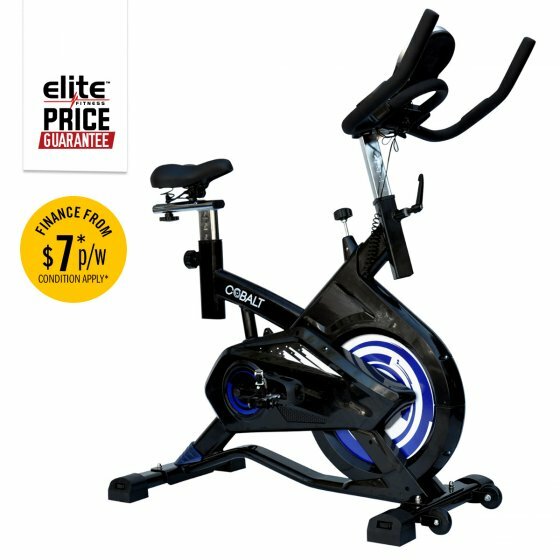 The Cobalt is an awesome value for money spin bike that will help you on the road to fitness. The sleek spin bike is a great addition to your home gym, offering a smooth ride in the comfort of your own home. With a balanced 13kg Flywheel and variable resistance adjustments, the Cobalt Spin Bike is designed to push your health and fitness to another level.